We warned you. Welcome to our new weekly feature that will bring you news, reviews essays and photos from the world of toys. We’re kicking off the first PopCult Toybox column with a story so world-shattering and heartbreaking that it transcends mere mortal concepts of “old news” and deserves to be dragged out in the sunlight for everyone to see. The traditional Easy Bake Oven is gone, dead, obsolete, abandoned. Worse yet, those daring collectors who cling to their precious childhood food factory will soon find themselves with only memories, as the heart of the beast, the soul, the engine of The Easy Bake Oven, the 100 Watt light bulb, fades from our modern existence. In case you don’t understand what I’m talking about, let me explain. For years, since its introduction in 1963, the heating element of The Easy Bake Oven was a 100 Watt lightbulb. Essentially, the oven was an enclosed lamp. The heat from the bulb was enough to cook the specially-formulated cake and cookie mixes. Millions of kids had their first experience with cooking by sticking a tiny cake pan into a chamber with a lamp, and then watching it plop out the other side, fully cooked. The easy Bake oven was the brainchild of Ronald Howes, a Kenner Toys designer, who also gave us the Spirograph, The Give-A-Show Projector and the Close N Play Phonograph. 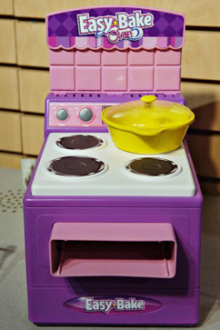 Born of Kenner, then conglomerated up by Hasbro, The Easy Bake Oven was that rarest of toys, something designed for girls to play with, that turned out so cool that it inspired a mini-boom of boy’s toys with heating elements, like the Vacu-Form, The Thingmaker and Creepy Crawlies. 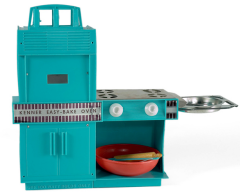 Hasbro even sold the “Queasy Bake Oven” for boys. None of those toys had the staying power of The Easy Bake Oven, which remains so popular that it has undergone a drastic redesign in order to remain in stores. There was even a cookbook, for God’s sake! The 100 Watt bulb has been gone from store shelves by government mandate for two years now. I suppose the fact that, as a light source, said bulb generated enough heat to cook food might be held up as an example of the inefficiency of the 100 Watt bulb and might be enough of an explanation of why The Easy Bake Oven had to change with the times, but still, you have to feel a little sadness at the loss of an American toy icon, and a tribute to raw ingenuity. The very idea of using lightbulb to cook was pure genius. Howes got the idea after hearing how street vendors in New York City roasted chestnuts. 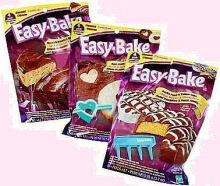 Much of the success of The Easy Bake Over was due to the cake and cookie mixes, low-fat, high-sugar concoctions that would remain shelf-stable for an eternity. And even though most of them tasted pretty nasty–like communion wafers dipped in drink mix–kids loved them because of the sense of accomplishment of actually having cooked by themselves. Let’s face it, even though the instructions said to use it with adult supervision, most parents would drift off and do anything else, rather than play with a toy oven when they have enough problems with the real one. The Easy Bake Oven was the domain of kids. But that’s all over now. Thanks to the government, Hasbro had to redesign and rechristen The Ultimate Easy Bake Oven and equip it with a real heating element. It’s basically a glorified toaster oven now. Sure, it’s probably way safer, and the food is much closer to edible, but where’s the fun in that? They’d released different versions of the Easy Bake Oven with real heating elements before, but they kept coming back to the simple, lightbulb-fueled, design, until 2011. With the new format, all the mixes had to be reformulated. The old mixes had been optimized for fine lightbulb-cooking, and thus had to be replaced. The new mixes don’t work well with the old oven, and vice-versa. And that’s where the true crisis comes in. There were millions of classic Easy Bake Ovens sold, but there’s only a finite supply of mixes, and an even smaller supply of lightbulbs. 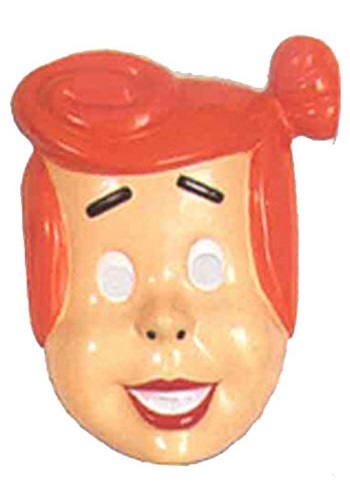 There will be no more parties where adult fans of The Easy Bake Oven get together and swap freshly-lightbulbed sweet treats. No more stoners borrowing their little sister’s Easy Bake Oven to make pot brownies. An era has ended. You see, there’s an underground movement. 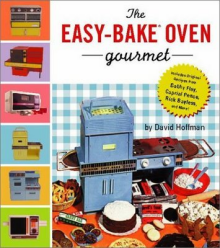 A little-known, yet growing collection of people who have used their backgrounds as bakers, chemists and bio-engineers to craft small batches of replica cake mixes for the original Easy Bake Oven. So the mixes are not the problem anymore. It’s the light. How can Easy Bake Oven fanatics head into the light if it’s not 100 Watts? CFL bulbs simply don’t generate enough heat to cook anything. There are some Easy Bake fans who claim that a halogen lightbulb can give off enough heat to cook with, but this group of people are considered scary and dangerous by the Easy Bakers who have fears of the unknown. Nobody in the United States can legally sell old-school 100 Watt incandescent lightbulbs any longer. How many of these cars are carrying illegal incandescent light bulbs? “Legally” is the operative word here. We have created a new class of outlaws…lightbulb smugglers! 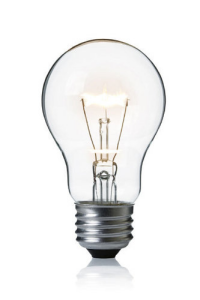 It was said at the time the well-intentioned legislation to ban incadescent bulbs was passed that, if 100 Watt Bulbs are outlawed, then only outlaws will have 100 Watt bulbs. Actually, that probably wasn’t said, but it should have been. Common, upstanding citizens have been reduced to crafting complex schemes to keep their supply of 100 Watt bulbs at a healthy level. The smart ones hoarded them, and are probably set for life. Others have taken to less savory methods. 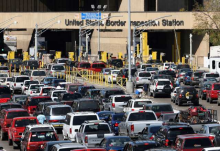 One popular trick is to drive across the border into Mexico, and come back with several small lamps…each one of which contains one of the banned lightbulbs. Other folks are secreting them in crafts, or even orifices. Whatever the method, they do what they must to keep their habit going. And they gather, and plug in their Easy Bake Ovens, and cook. At this point in this article, I really should give you information on how to hook up with Easy Bake Oven afficianados and clubs…but I can’t. Apparently, the first rule of Easy Bake Club is you don’t talk about Easy Bake club. Is this the new, Gender-neutral Ultimate Easy Bake Oven? Well, no, but it’s an artist’s conception. As a serious follow-up to a tongue-in-cheek piece, Hasbro recently received a petition starrted by a young girl, McKenna Pope, asking for a gender-neutral version of The Easy Bake Oven, and they have taken her request to heart. At this year’s international Toy Fair in a couple of weeks, Hasbro will unveil new packaging and colors for the Easy Bake Oven, which will show both boys and girls cooking with the new incarnation of this classic toy. It was surprising when Has-bra changed the name to DIFFICULT BAKE OVEN. Surprising, but accurate. However, the hobbling of this toy caused by our foul government’s light bulb oppression may finally pave the way for video games to succeed.